Even though you may not be able to see it right now, one day you will experience something else that will show you why a particular difficult situation was a blessing in disguise. Would you go through it again? Hell no!!! If you can discover the positive message, beneficial insights and the truth that lies within, in time you will find emotional peace. 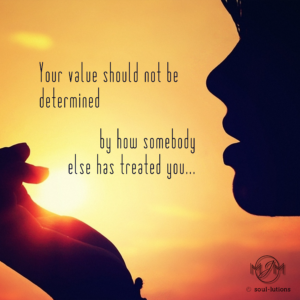 Be thankful they let you down – you can adjust your expectations of them now. Life serves us lessons to teach us about where we need to adapt our behavior and thinking – as long as you will let them, they will keep coming back like a toothache you refuse to go to the dentist for hoping it can get better on its own. The lessons have been learned. Every relationship gives you a window into understanding you better and how you can meet your own needs and respect your own values moving forward. 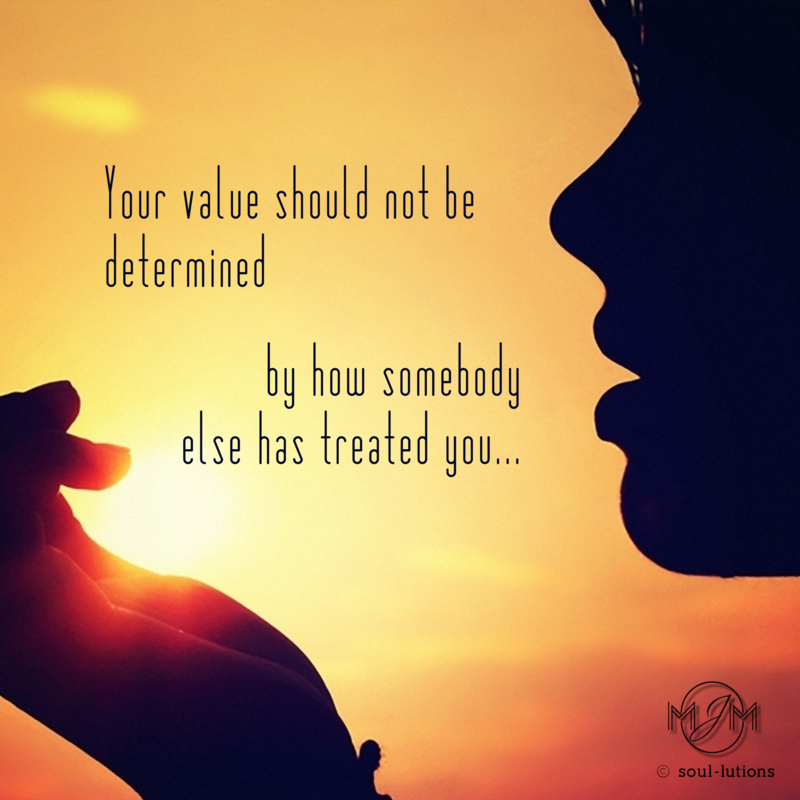 Your value should not be determined by how somebody else has treated you. Love yourself. You are the starting point!